Teaching Assignments: This gives teachers or other school education staff the opportunity to teach at a partner school in another country. Structured Courses or Training Events Abroad: Aids the professional advancement of teachers and school leaders, as well as other educational staff. Job shadowing: Gives teachers, school leaders and other school staff the possibility of spending some time abroad in a partner school or appropriate organisation operating in the interest of school education. Such activities also offer the chance for teachers to educate themselves in focusing on the needs of students from more underprivileged backgrounds. Taking into consideration the current context regarding young migrants, such as refugees and asylum seekers, effort will also be raised to reinforce projects that are to train teachers on issues such as the training of refugee children, multicultural classrooms, teaching children in their second language, classroom tolerance and diversity. What role do organisations play by participating in this project? 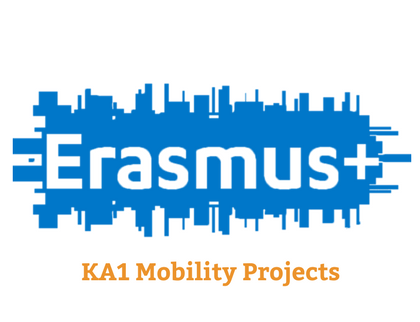 Applicant organisation: Take responsibility for applying for the mobility project, organizing and arranging the grant agreement, as well as signing these relevant documents. If in any case the applying organisation is a school, it will also operate as a sending organisation. The applicant can be a consortium coordinator: managing a national mobility consortium of partner organisations in the same country focusing on giving school education staff the opportunity to carry out activities in the relevant countries. Sending organisation: Responsible for electing teachers and other school education professionals and giving them the opportunity to work abroad. Receiving organisation: Responsible for welcoming teachers and other school education staff and providing them with tasks, or, in contrast, profiting from a classroom activity performed by them. Source: European Commission, Erasmus+ Program Guide.